Do you have a Rheumatology Care Team? What’s a rheumatology care team? When I wrote the About pages for this site, I discussed the team of doctors and medical professionals that a person fighting Rheumatoid Arthritis might gather around him. Like Diabetes, I realized that people with RA could need plenty of monitoring and advice. The other day, I read an article in The Rheumatologist tweeted by the American College of Rheumatology. It Takes All Kinds: A look at the rheumatology practice team describes extensive collaboration between physicians, nurses, and numerous other professionals. With the end of the NFL lockout and an agreement between owners and the players’ union, teams are being quickly put back together. The Redskins re-signed Santana Moss today, the 26 million dollar man. My sons are sure delighted. Can’t we do the same? As I read Dr. Borenstein’s list, I used fingers to count what professionals I’ve found for my team. Once, I saw an RN at a rheumatology office. It was my first visit to the doctor who put me on Humira. I changed insurance to become their patient, mostly because of the competence and compassion of that nurse. Then she left to go work on a mission in Central America. I was not treated by another RN in a rheum office. I know lots of patients who are though, especially in the U.K. But if they see the nurse instead of a doctor, I’m not sure how that counts on my fingers. We mostly have medical assistants here. I know they must do the best they can, but the ones I met didn’t know about RA. They thought it was odd that I’d lost weight, that I have fevers, that I take prednisone, or that I take omeprazole for NSAIDs . For a couple years, I tried to find a massage therapist who would learn about RA. I kept trying to explain that my joints are tender, but eventually, it wasn’t worth the trouble. So, have you successfully built a rheumatology care team or is it a struggle? 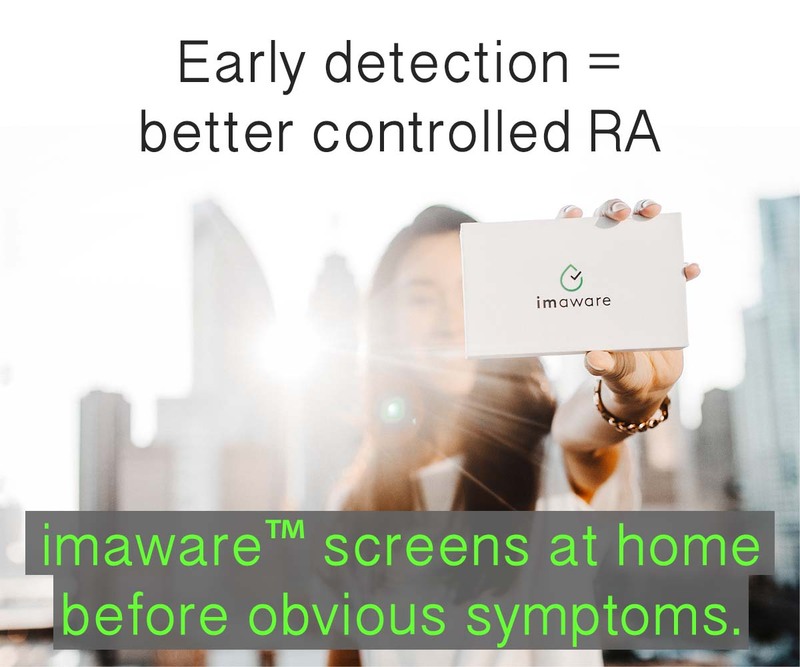 If you’ve followed the blog, you know I’ve been surprised about how little is known about RA by many medical professionals, either in my own experience, from readers, or according to research. It was one of the hard facts I hated to face because it shows how big the awareness job is ahead of us. My good GP admits he doesn’t know a lot about RA, but so far, that’s been okay since he treats infections promptly. In this interview in RA Today, I talked about the importance of a counselor as a valuable team player to avoid depression even with Rheumatoid Arthritis. It helped, but the counselor I saw didn’t know about RA either. Sometimes patients wonder whether collaboration exists. None of my docs have ever spoken to one another so I don’t know. I love a holistic approach, but can we find it? Postblog:I believe people with RA are resilient fighters, doing the most that they can. As I was working on this post, there was a typical discussion on Facebook about a book that makes curing RA look easy. It’s posted on Twitter often. Meanwhile, a new article’s being tweeted about a woman who is beating RA by keeping busy (Beating Rheumatoid Arthritis). I was thinking how ironic it is most of us are extra busy with doctor appointments & trying to put together a healthcare team & wishing it really worked to beat RA – either busyness or the team. It’s difficult to coordinate all the doctors that I see. I have made a chart with all my docs names, what their specialty’s are, what meds they prescribed, and their contact info. I give it to each doc. I have a breast surgeon, an oncologist, a plastic surgeon, an orthopedist (looking for another), a hand surgeon (referred me to a rheumatologist finally),a primary (he’s the team leader as far as I’m concerned), and now a rheumatologist. It wasn’t even a year after being diagnosed with breast cancer that I was diagnosed with RA (just keeps getting better). I was dx with RA in Feb, but just started the methotrexate, because I was still undergoing breast reconstruction. So I have had lots of coordinating to do! I just have to add one funny thing. When my plastic surgeon told me not to start the methotrexate until the final phase of the reconstruction (having areola’s tatooed), I called my rheumy’s office, and the receptionist told the doc I didn’t want to start the mtx because I was getting a tatoo, lol. :O That’s a great one, Debra. Did they get that “message” from the other doc’s office mixed up? Do your docs communicate with one another? My team is me, my rheumo, my gp (who is a nurse practitioner who is wonderful! ), my eye doctor (who also knows RA well because her mil has it), my counselor (who has a background in AI disorders), and the OTs and PTs I see occasionally. I have worked hard to put this group together to work with me. Going vegan has helped me deal with my RA but it has not cured me. In some ways it has given me back a bit of the control I lost when I was diagnosed with an AI disorder. Plus it has helped other things I deal with (like reflux and IBS) and since I feel better in other things dealing with the RA is just a little bit easier. Luckily the team has been good about me wanting to make lifestyle and dietary changes on top of my medicines. I’m not sure why Jen, but NP’s do seem to be especially wonderful. I had them for midwives & have had one as a pediatrician for years. She has been our favorite health care pro. Our genetics are so different, it’s reasonable to think that some are more well on different diets than others. I find it disgusting that in this day and age and with the cost of medical care sky rocketing that this country has failed to assembly teams of doctors housed in one location. I mean common on! Common business sense would tell me that it would not only make life for patients that much easier but cut the cost of sky rocketing medical costs in this country. For one they would all share the same medical information (look at the paperwork reduction in that alone and the cost to carry/fax etc. info. back and forth and all around), the increase of accuracy and safe guarding the patient against known allergies, side effects, etc. 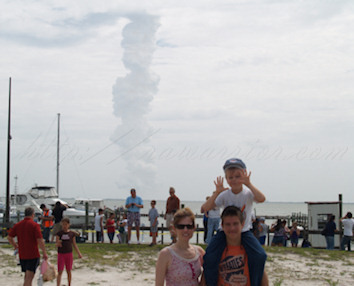 would sky rocket as well. I was fortunate to experience this early in my ra diagnoses but only for a short period of time…we were forced to change insurances but yet again. And this also complicates all of these issues…the flip flopping of insurance companies by employers, patients etc. and which doc accepts which ones. I can’t tell you how many times I see me as the dog chasing its tail in all of this. I mean why should we have to mediate between these doctors? Why in the world is not a team approach in practice as a necessary function of medical care? This shouldn’t be an option, it should be a mandate in my humble opinion. And surely, the sick, tired and exhausted patient should not have to take on the task of being the team leader… but we do! I know Deb. You’re completely right about coordinating care for complicated AI diseases. I’ve told every VIP I meet about my idea for creating something like they have at Cancer Centers of America – a model for AI care. I think it could not only improve care, but also research. Your postblog about just trying harder to beat RA reminds me of a quote in “The Hitchhiker’s Guide to the Galaxy” by Douglas Adams. The trick to learning how to fly is…. to throw yourself at the ground hard…..
Actually, my oncologist, and rheumy did communicate, but I had to email my oncologist, to call my rheumatologist. He wouldn’t just call her himself. As far as the tatoo comment, that was misinterpreted by the receptionist at the rheumy’s office (they didn’t understand the process of breast reconstruction). I don’t think the rheumatologist has called my plasticc surgeon once and I was seeing the PS more than anyone else (because of the reconstruction. There are several steps). I am pretty much done with the plastic surgeon now, but I would love for my rheumatologist to be more open to coordinating care with my other docs. I think he may have been offended because I went for a 2nd opinion from John Hopkins. I have an appt with another rheumy, but she can’t get me in until October 31st! you might be right that he was. I went for a 2nd rheum opinion once and the guy said, “Shame on you for coming to see me. The other doc will be pissed off.” I couldn’t believe he used that word and we all just looked at the floor. Of course, I don’t see the problem with 2nd or even more opinions if you need to be sure it’s the right diagnosis & treatment for you! I’m so glad the BC is going to be behind you. I’m very lucky to have a great rheumy. She actually set up an appointment for me at Duke University Hospital, to get a second opinion about my rather complicated case of psoriatic arthritis. I never brought it up – she made the appointment herself! I really do believe it takes a team effort to help someone with RA. I’ve managed to put a small group together made up of my rheumatologist who has also pulled in a neurologist to help with the things that he couldn’t. I also have a nurse assigned by our insurance who calls every 3 months to update my medical information and who listens to me no matter how long it takes. She is available for me to call in between times, as needed. She sends me information to help me with anything new that comes up or about things I don’t understand. A year ago, I was blessed with a new physical therapist who didn’t know anything about RA but took the time to educate to herself and her staff and is now focused on giving me pain relief. My physical therapy assistant, Mike, not only works to relieve my pain, but he prays for me too and often writes notes of encouragement that he slips into my purse. It is so nice to be surrounded by people who care for your physical and emotional well-being. I also have a supporting spouse who doesn’t always understand all about RA but doesn’t pass judgement when I’m having an off day. I’m also blessed with the support of some wonderful Christian friends as well. It has been a journey to get to this point, however. I was diagnosed a little over two years ago and had no idea what RA was all about. I was becoming increasingly frustrated until I started joining support groups on Facebook and becoming educated. This last year has been when all the other things fell into place and at the time when my health took a nose dive. I’m just so grateful for my support team and for you, Kelly, for your encouragement also. What a wonderful example, Bernadine. Thanks so much for sharing it to inspire others! I am receiving my care through the VA hospital in San Antonio. I was between jobs without insurance when I was diagnosed. Now it will be next to impossible to get coverage. While I feel VERY blessed to be receiving treatment, you don’t get to choose your dr there. But I will say since all of the drs you see are there at the hospital, I would think they communicate or at least see all of the records from each one. My favorite…a nurse practitioner who is my primary care. In addition she has MS, so really understands where I am coming from. She took all of July off so I am waiting until I see her again in Sept. She is the one who sent me for a bone scan since I am on Pred., she is the one that caught my Vit D def, and she is the one that told me absolutely RA can affect the spine and sent me for an MRI. None of these issues were caught by my Rheum and I had been seeing him for over six months before I saw her. Basically he would say I would look fine to him, see you next time. Smile when I would ask him a question that I got off this blog like silly girl, leave the diagnosing to us experts. When I told him I had pleursy twice since I was diagnosed, he informed me I was wrong, can’t get that from RA. I told him he was wrong, you sure can. That was the day he told me he was leaving, what did I have to lose?? Maybe it made him mad enough to look it up to try to prove to himself he was right. Maybe he learned something that day. Becky, the NP sounds like a treasure to hold on to! No comment on the rheum doc. Kelly – has there been any study that has found a corrilation between Vit. D def. and RA ? I hope it’s okay if I reply as well. My NP told me that folks with RA and other autoimmune diseases tend to have lower Vit D levels. Not sure what the reason is, from the disease or because you don’t feel well so you don’t go out in the sun light enough…either way, because of lower levels you feel even worse. Even if you take Calcium with Vit D(I am), even if you take Vit D3 2000IU(I did until I got my prescription, she said better than not) it can not help you like Vit D2 50,000 unit. I’ll be honest, I’m not sure if it is that or the plaquenil, (started taking them about the same time)one of them is helping. Not a lot, but I’ll take it. First improvement I have had other than the Pred which I hate to take. Having been diagnosed with RA in October of last year, I am still fairly new at this and am hoping that maybe someone can advise me where the line is between one’s GP and one’s Rheumatologist. How do I know what is RA related and/or who I should see for a problem? After having been on prednisone for 10 months with doses as high as 40 mg, I am finally being weaned off it (currently down to 2 mg.) Obviously the prednisone has been the “mask” since the major symptoms and pain that began this entire journey are returning in full force, in spite of the maximum dose of methotrexate (30mg) which I’m on. Once again I can barely walk, lift my legs, or sit and am in constant pain. I really don’t know, but through research I think this might be caused by an inflammation of the sacroiliac. But my RA doc pooh-poohs that totally, saying that is “not RA related”. I am aware this is a symptom of AS but as a 62 yr old female, since I do not fit the standard profile, he doesn’t consider it. I have not seen my primary since being referred to the specialist so he isn’t aware of the RA treatment. So what now? Do I push the Rheumatologist – there are only have five Rheumatologists in this area and 3 turned me down as a new patient – so I am hesitant to alienate him or do I go over his head to the primary and demand a bone scan or another MRI, which may also alienate him. Where to? Angie, ask your GP or your rheumy to refer you to either a spinal orthopedist or a neurologist specializing in neurological issues. Looks like I will have to do that at some point. Also, you could try splitting your dose of mtx, and take half on Mondays and half on Fridays. Adding Plaquenil and/or sulfasalazine to the mtx may make it work a bit better too, before considering biologics. I would go back to my primary and ask who he would refer you to about this. Explain your Rheum doesn’t think it is RA, so what could it be?? My guess is neuropathy but I’m not a dr. My rheum was going to put me on Gabapentin for guess now….Fibromyalgia, guess he forgot to the last time I saw him(I saw it in his progress notes when I got copies of my records). Good luck!! I am going through the same, once the Pred has been dropped down(which by the way I asked for before I was over 50 lbs overweight)My pain is close to the same as when I was diagnosed. The difference, Plaquenil has made a slight improvement. MTX, nothing that I could tell after 6 months at 20 mg once a week. But I will take slight over nothing any day of the week! Sorry, I meant to say Gabapentin is for neuropathy, works well for my mother. Angie – I completely feel your pain and wanted to let you know that sacroiliitis can definitely be a symptom of RA. I am in a similar situation as you. I have an RA diagnosis, but my most troubling symptom is bilateral sacroiliitis and hip pain. Before I was diagnosed, I could not sit, stand, walk or lie on a bed without extreme pain. That pretty much runs the gamut of movement. My pain was about a 7 or 8 on a 10 scale almost 24/7 for almost 2 months. I was finally able to see a rhuematologist who immediately diagnosed me with sacroiliitis and trochanteric bursitis and started me on prednisone (which had me walking with little pain in a matter of days). The RA diagnosis came a few months later after my hands, feet and knees were affected. Like you, I often wonder if I have AS or PsA due to the strong SI joint involvement. My rheumatologist says that the most important thing is treatment, and since the treatments are the same for these diseases it’s not something I should focus on. If I do have AS or PsA, it will reveal itself in time. As far as the line between the GP and rheumatologist, I haven’t figured that out yet. I report all of my symptoms to my rheumatologist and he will try to treat them as long as they aren’t completely unrelated. If they are totally outside of his area of expertise, he will refer me to another specialist. Good luck to you. Angie – I also wanted to mention that I first tried methotrexate as well, and it barely helped my SI joint pain. It helped my hands, feet and knees, but the SI joint pain remained. It wasn’t until I tried Enbrel that I experienced major relief. I still feel the pain every day (especially when getting up from a chair), but it is tolerable most days. Perhaps you should inquire about a biologic, if this is a treatment that you are comfortable with. Only you can make this decision. Kind Regards. I live in Dubai and realised quite quickly that I needed a team of people. This is my team: 2 Consultants, (1 is in London and diagnosed me, 1 is in Dubai. They email each other to keep track of my care), 1 GP, 2 nurses (1 does my bloods and Vitamin B12 injection, 1 does my actemra infusion), 1 hydrotherapist, 1 psychologist specialising in chronic conditions, 1 physiotherapist, 1 yoga teacher specialising in arthritis, 1 hairdresser (I’ve lost a lot of mine with methotrexate so she works with what I’ve got and hair extensions) and I also consider my massage therapist and my manicurist to be part of my team too! I like to look nice but as you all know it’s not easy when your hands won’t work! Probably the key people in my team are my husband, my mother and my ‘helper’, Malika. Without them I simply wouldn’t be able to exist I don’t think. Between them they keep my spirits up, give constant encouragement and clean and cook. I don’t have a team, but a marvelous doctor. She’s not a specialist, but she’s doing all she can to learn about my SJogren and find tips to helps me. I hope that anyone with an illness like that could find someone as kind. That’s a good point because more valuable than a title would be someone with your best interest at heart, especially if they are willing to learn & investigate on your behalf! I read this post with interest because every article you read on treating RA says you need a team but it seems we have to build our own. My rheumy does send reports to my GP but I would agree with you that a diagnosis like RA should have some sort of co-ordinated team approach. Health care in the US is not generally designed that way – it tends to be pretty fragmented. Anyway, I think we are pretty much on our own to build that team and good luck trying to get them to talk to each other! You’d think with the cost of the biologics the insurance co’s would be having nurses calling us constantly trying to suggest trying everything else but! But the ins. co’s probably have stock in the pharm co’s. I attended a pain clinic at the Northwestern University Memorial Hospital in Evanston, IL (really, Chicago). Once a week for six weeks, all afternoon, I would be seen in turn by: a nurse (this was more like a class with four other women on dealing w/pain in everyday life, like good nutrition, getting better sleep, etc. ), a physical therapist, an occupation therapist, a psychologist, a biofeedback therapist, and the doctor (specializing in pain conditions). It was not to see how to remove the pain by looking at its cause or origins, but after being diagnosed, how to live with it. Some patients were in-patients for a week, others all day, and others, like myself-4-5 hours in the afternoon once a week. Something like this might be good; for departments to either have a ‘team,’ or for a specialized ‘team’ to exist in specialty clinics. I don’t have a team either, but I work for a former rheumatologist, and I see a doc in his former group. I feel so blessed in that I was diagnosed on my FIRST visit, no tests — a 10-page question/survey thing, physical exam and just listening to me. The first doc I saw there, unfortunately was VERY hung up on exercise and would not let up on me about it. Also not a very good bed-side manner. She once had a secretary return my phone call, simply to say “the doctor will NOT be calling you back; you will have to wait for your next appointment”. FIRED that day. I see another doc there now who is light years better. She is compassionate, listens, CALLS ME BACK, and does not push the exercise thing. I have not reached the point yet, I think, where I need to gather other experts for my care, but boy when I do, I have learned so much from this site that they better just look out!! Thanks again Kelly for the fantastic work you are doing on this site. Btw, as a mother of 5 over a period of 22 years, I have not ever talked with any dr on the phone. Would love to know how common that is. Or email. Funny you should say that about talking to a doctor on the phone – I have never talked to a doctor on the phone as much as my current rheumatologist. This doctor called me himself the day after Thanksgiving with my test results to discuss his diagnosis and treatment plan. When I called with a question, he called me back to answer it, not one of the nurses. When I saw him last, he chided me for not calling to let him know things were not going well and I received instructions to call in a month and let him know how the new treatment was going. I was also told to call if I was experiencing a flare that I thought I needed help with. While I’m still having a lot of trouble adjusting to everything that goes with this pain in the you know what disease, I’m pleasantly surprised by this particular rheumatologist’s attention. I just wish that everyone that had someone that good – and not one like the first doc I saw. Wow, what a difference! It seems like I am constantly running to doctor’s appointments! My RA team consists of my rheumatologist (who is wonderful), my gastroenterologist, my dentist, my pedicurist (don’t laugh, I’ll explain), a yoga teacher and a massage therapist. Dentist – Treats my periodontal disease 4x/year. I believe this is related to my RA. Pedicurist – I get “spa pedicures” to soothe my aching feet. Yoga Teacher – Keeps my back, hips and SI joint limber. I would be the tin man without yoga. So what is missing from the list above? I don’t have a GP. I know I need one, but the last thing I want to do is find another doctor. At our rheumatology centre, we have a team including rheumatologists, a rheumatology nurse, dietitian, multiple physical therapists, exercise physiologists with a small gym area for appropriate exercise programs. In addition, we have pathology collection, musculoskeletal ultrasound for rheumatoid joint disease & a bone densitometer on site. Other specialists collocated include endocrinologists & dermatologists. We hope to grow this but one reason why this sort of integrated approach isn’t widespread, is that it is hard to make financially viable. In our case, we have dedicated individuals who believe in this concept of Connected Care & who are willing to support it financially. Thank you Dr. Lim. For rheumatology or immunology especially, this is the logical model. These diseases affect so many systems of the body & we cannot find specialists who are even aware of how the disease can affect the heart, for example. There are wonderful researchers who do know, but the average medical professional does not know what to look for in a rheum patient’s arteries, just for example. Many rheum patients don’t get eye care, for another example. Most physical therapists or massage therapists have no idea how to help RA, carefully. We are decades behind diabetes with a disease that might be a lot more complex. And I agree that expense is the barrier. I’ve been told that the model center I have described to friends would be 10 million dollars to start. I have recently been going to a wonderful GP that my MIL had told me about. I have been so impressed with her caring and compassion. Recently my Rheumy doubled my Methotrexate inj and one day I woke up with my hands covered in small blisters thousands of them. I called my Rheumy immediatly his nurse told me to stop taking the methotrexate and see my GP or go to the ER and when i get an all clear to call them back and they will tell me how to start taking the meds again. I was very upset!!! Well my GP has this amazing web access where i can contact her by sending her an email and she sends me a reply. I can set up an appt at midnight on line. Its on the My Mercy. Amazing! I have access to my medical records, appointments, dx, medications, even my xrays and all test I have complete access to. She wanted to see me right away, which it seems that the methotrexate can cause major dryness in the skin which caused a dermatitist reaction, so she got me some creams. I have been so impressed at how the Mercy Hosp medical teams are tied together on this sight and was very upset that my Rheumy wouldnt see me when he was the one that gave me the persc for the meds that I also had her refer me to a rheumy in their network. By the time i got home i checked my on-line acct and she email me the name and number and the appoint options that were available. I am so Impressed!I have been down a long road to get to this point! Im not sure what all is available I am from Oklahoma myself and would to think that maybe there are more networks like this out there somewhere? GOod Luck to everyone! God bless!! I meant to say that i was upset at my Rheumy for not seeing me when he should know more bout the side effects of the methotrexate and since he gave me the persc i felt he should of been willing to see me, even if not that day but to say when it all goes away? The medicine that we are on are very scarry! I may not like the methotrexate but understand why I am on it! Sorry I got ahead of myself! Thank you for letting me vent!! I love this site!! I’m so glad to see your post encouraging a team approach to RA care. The team approach is one that is widely endorsed by nurses and is used in the treatment of many chronic diseases. I used to work for Diabetes Treatment Centers of America, which uses the team approach. We had physicians, nurses, Certified Diabetes Educators, counselors, pharmacists, dieticians, and exercise physiologists all working together to help our patients with diabetes manage their disease. We had access to an extensive internal network of support and expertise that we could tap into when we needed help beyond what our own immediate team members could provide. Wouldn’t it be wonderful to see a “Rheumatology Treatments Centers of America” or its equivalent become widely available? Start of course, with your own primary care physician, and find out suggestions from him or her and their office staff about recommendations for local resources and other health professionals. Ask specifically who and what type of practitioners would offer you the most benefit. As you began to branch out, keep asking this same question, and evaluate for yourself whether or not the advice received is the right direction for you. Remember, even if you are lucky enough to find your own case manager, ultimately it is up to you to make the best decisions on your own behalf. Get a referral to a rheumatologist ASAP, and again quiz the doctor and office staff for further referrals. Search on-line. Many university sites offer excellent resources. Mayo clinic and Johns Hopkins are both very good. 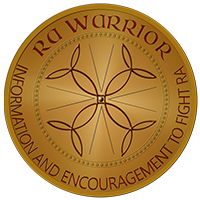 And of course RA Warrior and RA Central are great sites for information, networking and support. Contact your local Arthritis Foundation office for local resources and programs. Take advantage of the wealth of knowledge that your pharmacist has at his/her fingertips. They will have access to multiple professional data bases and give you excellent feedback about the medications that have been prescribed for you. You can also find help and support from many of the drug companies. Take advantage of them. If you have health insurance, check to see if your insurance offer a chronic disease care telephone nursing support program. Consider searching for a counselor who specializes in helping people cope with chronic disease. Also check for support groups through your local hospital. Learn all you can about ways to support your overall health. A registered dietician can help you devise a well-rounded meal plan that will suit you and include foods with anti-inflammatory properties. If you find yourself needing help in activities of daily living, consult with an Occupational Therapist for assistive devices and suggestions on strategies to maintain your independence and do as many things possible for yourself. Find someone with the expertise to help you stay as physically active and able as possible. This may be an exercise physiologist, a physical therapist, or an exercise specialist who understands the special needs of someone with RA. The Arthritis Foundation offers special training to fitness professionals for both aquatic and dry land exercise, and can refer you to a local specialist. Once my RA was sufficiently under control for me to do so, I certified through the Arthritis Foundation to become a Tai Chi for Arthritis instructor and now lead classes locally. I’ve met many people who also have arthritis and we have formed our own community for networking and support. The Tai Chi classes are wonderful in that the movements are easily modifiable according to each persons ability. For example, some class members perform the entire form seated. To find a Tai Chi for Arthritis class, contact you local Arthritis Foundation Chapter. If there is no class nearby, contact the Tai Chi for Health Community. This group is very professional and they actually train the Tai Chi for Arthritis instructors. Their website is http://www.taichiforhealthcommunity.org. If there is no class near you, you can order a DVD of the program for home use at http://www.taichiproductions.com. Another resource that I have found very valuable is that offered by the Alexander Technique. Alexander teachers can show you how to move in such a way as to protect your joints and make your movements as balanced and easeful as possible. I trained as an Alexander teacher shortly before I was diagnosed with RA, and I’ve found the technique immensely helpful. If you’d like to know more about it, you can go to http://www.amsatonline.org. They also offer a teacher listing. If you’d like to listen to a podcast about the Alexander Technique and RA, go to http://bodylearning.buzzsprout.com/382/25873-how-the-alexander-technique-can-help-with-rheumatoid-arthritis. Disclaimer, yes, that’s me in the interview! Last but not least, if you have a supportive friend or family member, enlist their help in building your team and even as acting as a team member themselves. Trying to do this all yourself is a tall order on top of having a disease like RA that already limits one’s energy. I think the expression “It take a village” applies to helping those with chronic disease as well as raising children. I hope this information is helpful. 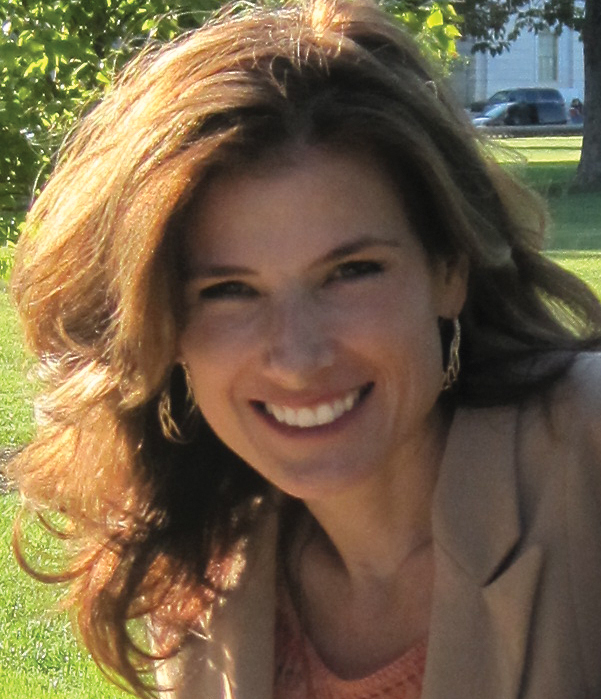 And a special thanks to you Kelly for providing such a wonderful website for RA. You’ve done an awesome job of creating a “village” yourself!